Need proof that Hollywood is willing to literally turn almost any entity into a movie? Then look no further than the fact that Paramount currently is developing a live-action feature film based on the toy franchise Beyblade. Deadline reports that Paramount Pictures has bought up the film rights to the figures and toys, which are modeled on traditional Japanese fighting tops and have sold across the world to the tune of over $2.5 billion in revenue. It's not really that surprising, since Paramount Pictures has had huge success over the last few years turning the Hasbro toys Transformers and G.I. Joe into huge franchises. So why wouldn't they take a stab at Beyblade, too? You can check out a commercial showcasing the toys in action below. Pretty simple stuff. All you really need to do is pull the rip-cord on the plastic spin top and watch it spiral into the designated area where it then bangs against an opponent. The last top standing wins. How Paramount plans on making that into a feature film movie remains to be seen. Beyblade toys actually are developed and manufactured by Takaratomy, the team and division behind Transformers, which suggests that both companies feel they are now in the perfect hands. Here’s a quick Beyblade history lesson: The toys originated in Japan before being licensed to Hasbro back in 2001. After their popularity began to dwindle, they experienced a second wind as recently as 2009, when the second generation of toys named Metal Fusion hit shelves and immediately became a huge seller across the globe. Before Beyblade’s cinematic incarnation hits, Takaratomy will be looking to take advantage of its expected increase in popularity with the release of a new generation in 2017. Beyblade’s history isn’t just restricted to figurines, though. It has actually spawned into various television series, animated feature films, and video games, which suggests that by the time Paramount Pictures gets their live-action film to the big screen, plenty of additional aujdience members will be interested. But what will the Beyblade film actually consist of? Well, Beyblade revolves around a group of children who form teams and then battle against each other using the titular weapons. 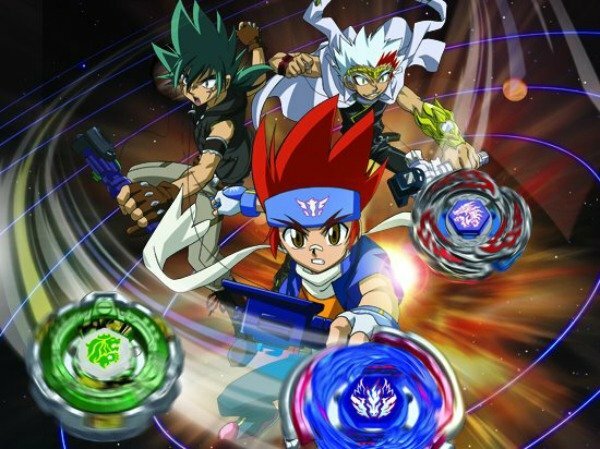 You can check out a clear image of the Beyblade gang as they swing into action below. Meanwhile, if you’re the kind of individual who wants to immediately become well-versed in the world of Beyblade, you can start devouring the dozens of episodes of the show that are available on YouTube now. You’ve got plenty of time to catch up because Beyblade isn't expected from Paramount Pictures for a number of years yet.